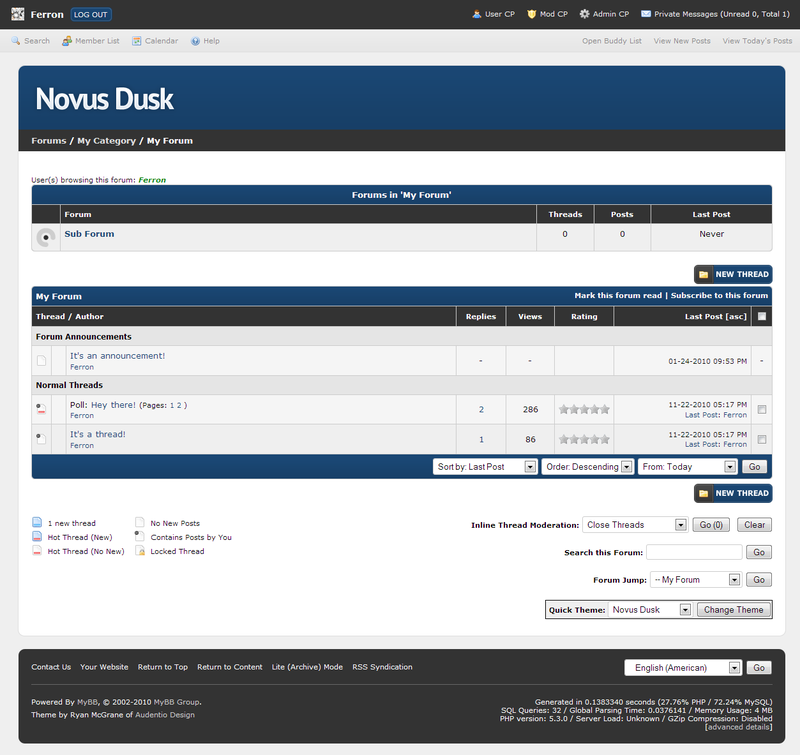 Novus 2 Dusk is the dark blue version of the Novus 2 theme series. 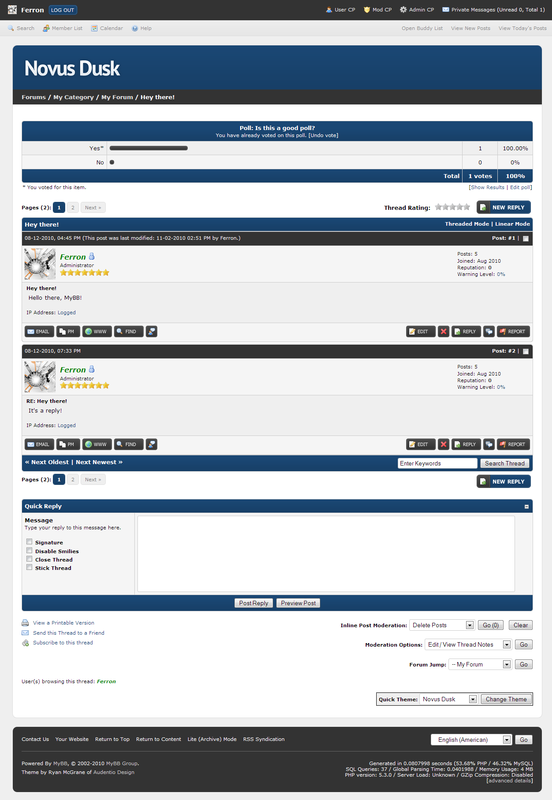 It's so simple to use and customize that you'll want to install it on every forum. 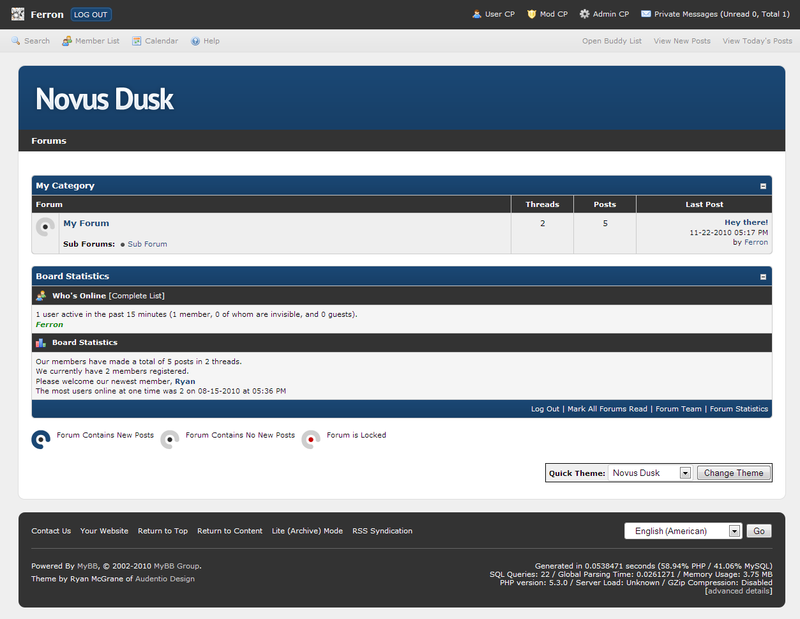 If you need any help installing or using the theme, refer to the 'readme.txt' file included in the download.